Designed for home-studio owners and musicians. The Behringer B-1 Large-Diaphragm Cardioid Condenser Mic employs a 1" capsule to capture sound with incredible realism and sensitivity. Its wide frequency response from 20Hz-20kHz is enhanced by a pronounced presence boost, making EQing unnecessary in many cases. The cardioid polar pattern, switchable high-pass filter, -10dB pad, 148dB SPL capability, and low self-noise make it perfect for close miking. Requires 48V phantom power. 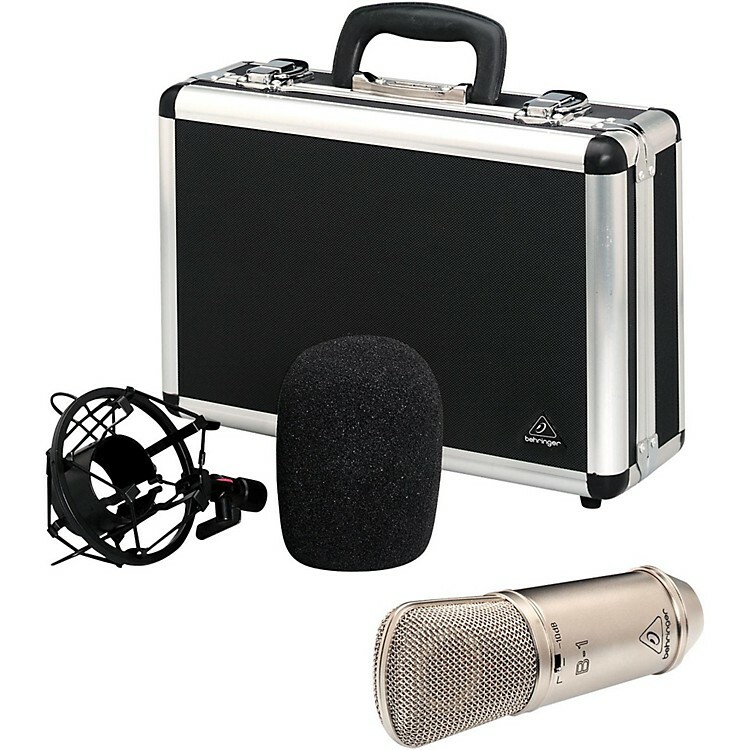 The Behringer B-1 Mic includes a carrying case, shock mount, and windscreen. Put it in the cart today and add some big-time capability to your mic inventory.